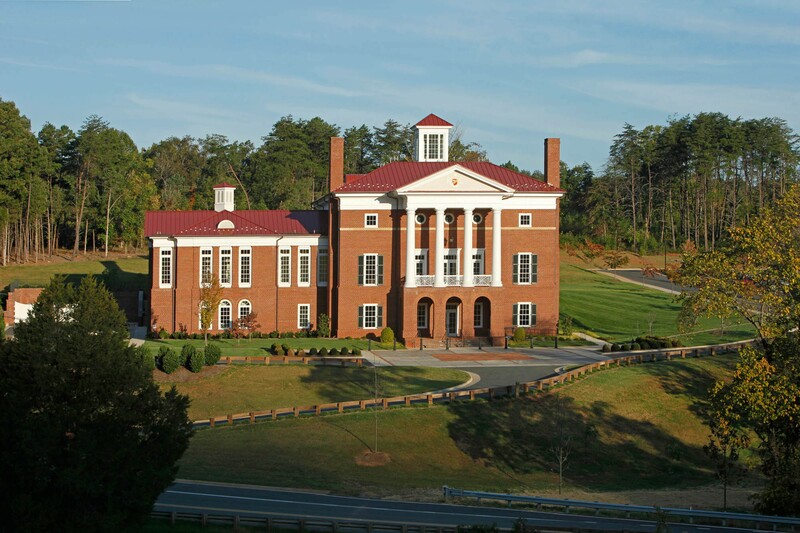 GLAVÉ & HOLMES ARCHITECTURE (G&HA) was commissioned by Kappa Sigma Fraternity to design its new international headquarters near Charlottesville, Virginia. 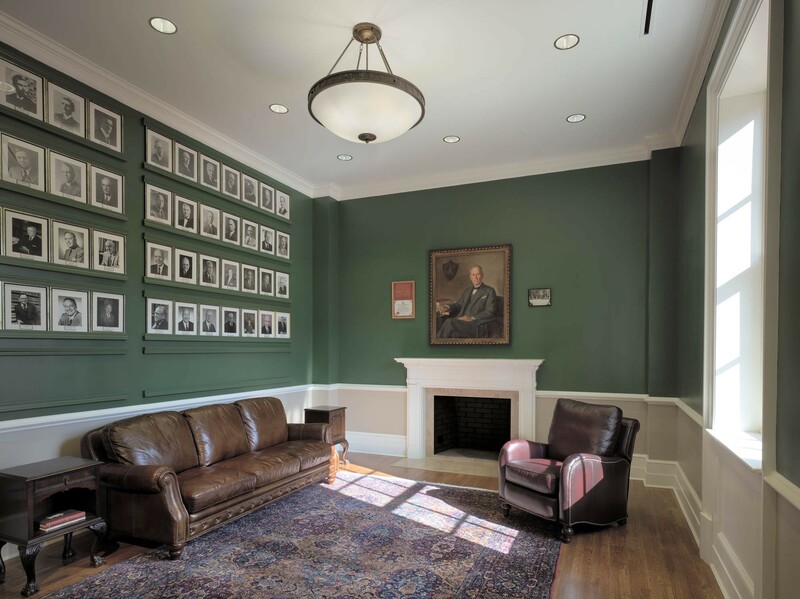 The Kappa Sigma Fraternity originated in Bologna, Italy during the Renaissance and was founded in the United States on The Lawn at the University of Virginia in 1869. In keeping with the classical imagery of Thomas Jefferson’s architecture, the design for the Kappa Sigma Headquarters recalls an elegant estate graciously placed within its rural context. Sensitive to classic proportions, the modern needs of the fraternity, and the terrain of the site, the design incorporates red brick, large white columns, shuttered floor to ceiling triple hung windows, a standing seam metal roof, and distinguishing cupolas to enlighten the interiors of the headquarters. A formal garden extending from the rear of the building was crafted into the sloping grade of the site to suggest a connection to the terraced formal gardens of the Italian Renaissance, as well as articulate the tradition of Virginia landscaping. All interior spaces were finished and detailed appropriate to the program. A master plan was prepared which features a museum, administrative space, lecture hall, guest lodging, and conference center, as well as outdoor pavilions, recreation area and bicycle and pedestrian paths. Phase one includes three main components: a museum for display and preservation of artifacts and documents important to the fraternity; administrative areas for the operational requirements of the fraternity; and a chapter center for fraternal functions and educational seminars. In addition to working with the board of Kappa Sigma to meet their programmatic, aesthetic, and technical goals for this facility, G&HA also facilitated the permitting process on behalf of the client by working with Albemarle County.